Many of our campers were sad to say Goodbye to Camp Hubbard when they “aged out”. 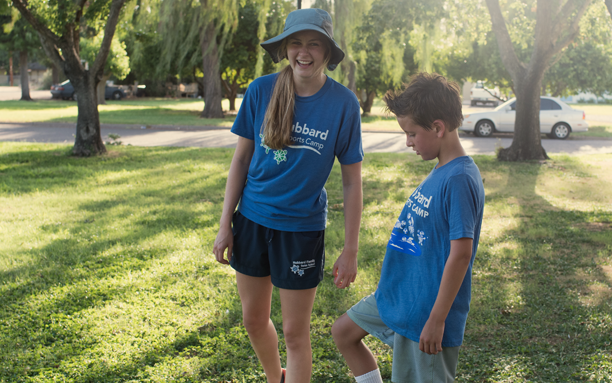 Teen Leadership camp allows teens to remain part of the Camp Hubbard environment while they experience continued growth as individuals, have fun and remain active throughout the summer. Teen Leaders participate in games and sports everyday. A great opportunity to learn the role of a camp counselor, grow in leadership, confidence and independence, and take on new responsibilities with guidance from the Camp Staff. The Teen Leaders have the chance to work with younger campers; mentoring, guiding and helping them throughout the day. We love our staff because they LOVE camp! Teen Leadership counselors follow guidelines to support the teen leaders in reaching their goals and learning new responsibilities. The counselors love to be active and play the different games with the teen leaders. They understand the importance of physical and emotional safety. They have a strong passion in working with teens and want to make your teen leader’s day! Time to unplug and connect with one another. Face to face interactions, building relationships and creating friendships. 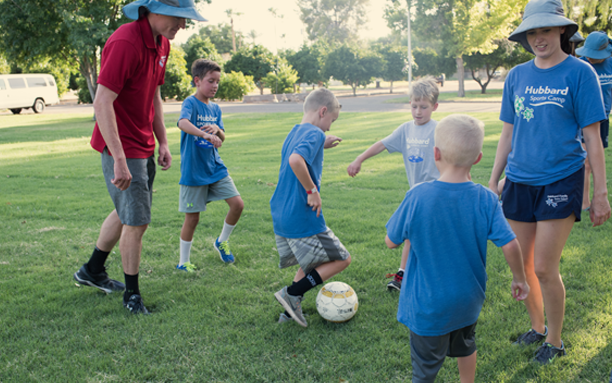 Working in a group environment, practicing social, emotional and physical skills while playing games, following a curriculum and mentoring campers. Campers meet with their fellow campers and camp counselor. Teen leaders play a variety of games and different activities throughout the day. Teen Leaders explore a curriculum of trainings including development of leadership, personal responsibility, working with others and setting and achieving goals. They incorporate their goals and new learned responsibilities within the younger age groups, working alongside the camp counselors. 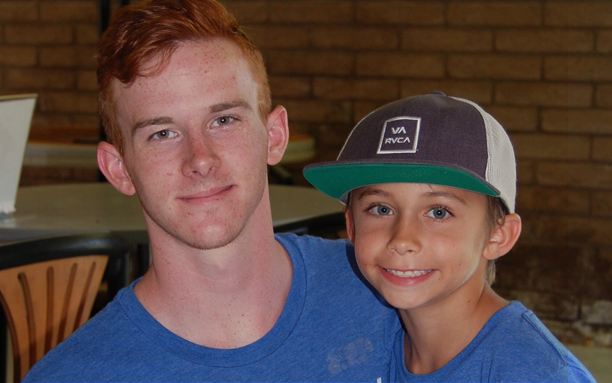 This is an awesome opportunity for the teen leaders to guide and support the younger campers, developing friendships and becoming respected buddies to the younger kids. The days are intermixed with learning and playing each day. Monday through Thursday: Campers bring a self-cooled lunch. Friday: Camp Hubbard serves pizza. Pick up for all full day campers. Extended stay is provided for parents who need late pick up. The campers play different games in the gym.